The world is getting ever more connected. Soon, even a trans-Atlantic flight will offer in-air connectivity. If you’ve ever dreamed of streaming Netflix on your computer at 35,000 feet, Icelandair is bringing high-speed connectivity and streaming access to trans-Atlantic flights with ViaSat’s in-flight Internet system. 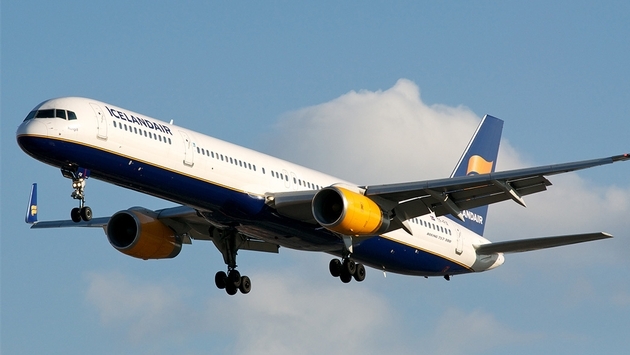 "Icelandair continues to expand its global network with additional flights, aircraft and service capabilities across the Atlantic – our investment in new technology, from ViaSat, will deliver one of the best internet experiences in the skies," said Guomundur Oskarsson, senior vice president, sales and marketing for Icelandair, said in a statement. "In partnering with ViaSat we continue our strong reputation of putting our passengers first by giving them the opportunity to use the internet the way they want to – by providing Internet with fast web-browsing speeds and video streaming,” Oskarsson added. Delivering high-speed connectivity to flights is no easy task. However, ViaSat-2 is expected to be one of the most powerful satellite communications systems when it launches, enabling Icelandair the capability to provide full Internet streaming services onboard. ViaSat-2 is expected to handle the massive amounts of data that is required for streaming services, providing seamless connectivity to passengers as well as boosting broadband access for entertainment systems onboard. According to IcelandAir, the new service is expected to be available fleetwide in March of 2018 and will continue through 2020. "This is a watershed moment for ViaSat – as this is the first time an airline will use our technology to offer full internet connectivity and internet streaming to passengers over the Atlantic Ocean," said Don Buchman, vice president and general manager, Commercial Mobility at ViaSat. "This boldly speaks to Icelandair's commitment to ensuring passenger comfort and loyalty while showing how far ViaSat has taken the in-flight internet industry in just a matter of years." Hopefully, we will still be able to bring our laptops onboard to appreciate the experience.